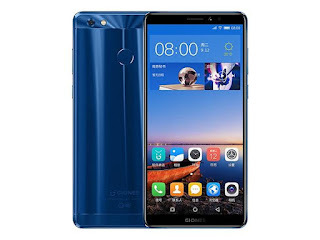 Gionee M7 Power price, specifications, features, comparison Gionee M7 Power: Specs, 5,000mAh battery, price and everything you need to know- Gionee has just launched the Gionee M7 Power - the company's first bezel-less smartphone in India. Along with an edge-to- edge display - the hottest smartphone trend of 2017 - the device comes with a mammoth 5,000mAh battery, the ability to take 3D photos, a metal unibody design and Android 7.1.1 Nougat with the company's own Amigo OS on top. Gionee has been struggling as of late in the Indian market. With the M7 Power, the company aims to compete with similarly priced bezel-less wonders likes the LG Q6+ and the four eyed Honor 9i. The smartphone has been priced pretty competitively at Rs 16,999 and is set to go on sale from November 25. The smartphone has a 6-inch HD+ (1440 x 720 pixels) FullView display with 2.5D curved glass display and 18:9 aspect ratio. The phone is equipped with an octa-core Qualcomm Snapdragon 435 SoC paired with Adreno 505 GPU and 4GB RAM. The memory of the phone can be expanded up to 256GB with a microSD card.